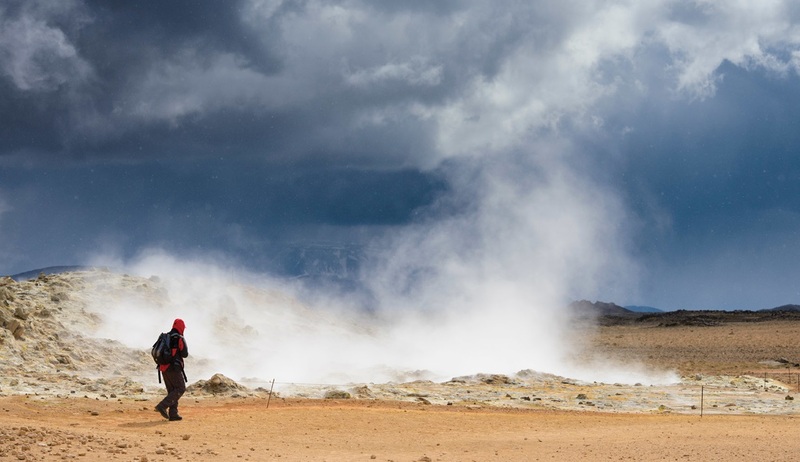 Join us for a journey to see a land of fire and ice. 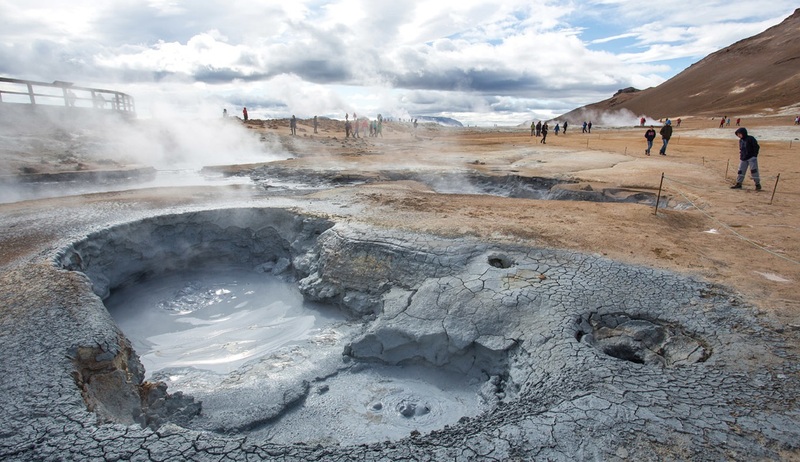 Iceland’s location close to the Arctic Circle and on the mid-Atlantic Ridge has given the country unique natural and geological features. Circumnavigating the island, we will experience the beauty of fjords, waterfalls, bird cliffs, wetlands, arid highlands, geothermal power, lakes, lagoons and glaciers. Encounter the fascinating local culture against the backdrop of some of the world’s most breathtaking landscapes. Throughout the voyage, learn about the geology, wildlife and botany of this spectacular area from lecture presentations offered by your knowledgeable on board Expedition Team. 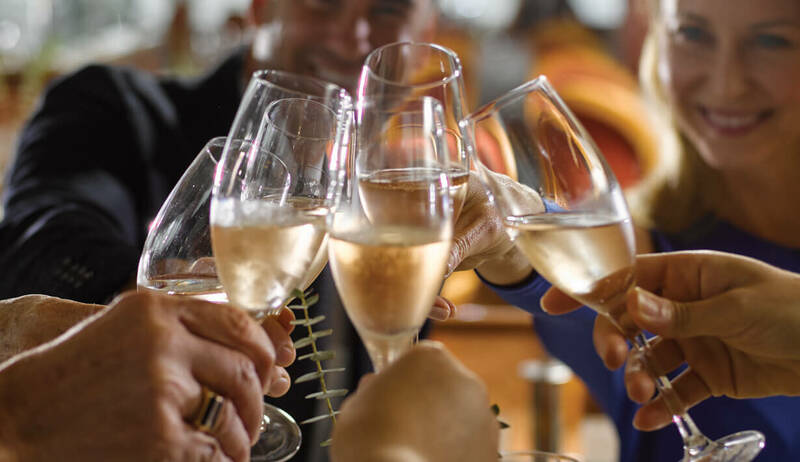 Arrive in Reykjavík independently and board Silver Cloud in the afternoon. Settle in and attend a mandatory safety drill before leaving port. During the evening you will be introduced to some of the important crew members and your Expedition Team. You may wish to arrive a day earlier or depart a day later to experience this unique city. Sprawling Reykjavík, the nation's nerve center and government seat, is home to half the island's population. On a bay overlooked by proud Mt. Esja (pronounced eh-shyuh), with its ever-changing hues, Reykjavík presents a colorful sight, its concrete houses painted in light colors and topped by vibrant red, blue, and green roofs. Visit the town of Heimaey, partly covered by lava as the result of Eldfell’s volcanic eruption dating back to 1973. Hear the history of how an operation to cool the advancing lava with sea water saved the harbour. Later, cruise by ship past Surtsey; born from volcanic activity in 1963, it is Iceland’s youngest island. Situated in the southeastern part of Iceland, the little town of Djupivogur is one of the easiest spots in Iceland to reach from northern Europe. Evidence of this is apparent in the presence of a trading post built here as early as the 16th century. In the modern era, fishing is still important, but tourism is increasing more and more. Nearby Bulandsnes has a renowned bird sanctuary, and Papey Island just slightly to the east, is home to large colonies of Atlantic Puffins. Djupivogur is also not too far from Vatnajökull National Park. 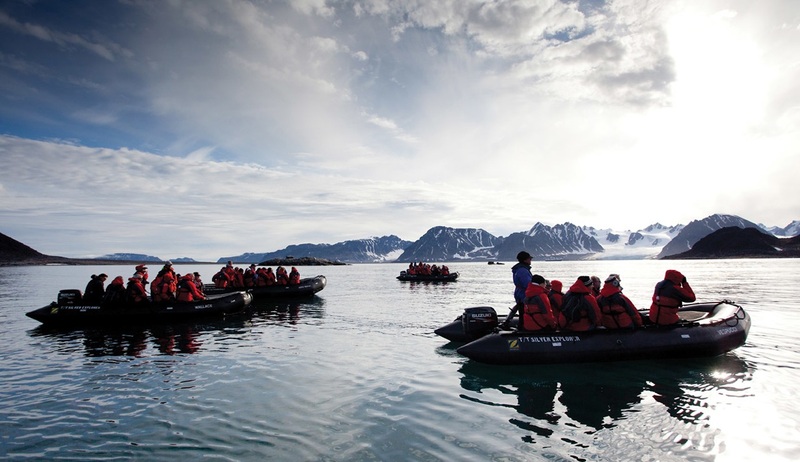 Enjoy a cruise by local watercraft across a huge freshwater lagoon formed by the melting ice of one of the several tongues of the Vatnajökull Glacier. See the crystal clear blue ice of hundreds of massive icebergs that float in the lagoon or have run aground. Located in northeast Iceland is Langanes Peninsula, whose name translates as, “long peak” and extends 25 miles out to sea, ending in a thin strip of land called Fontur. The mostly flat peninsula is verdent green in summer, covered by mossy meadows studded with crumbling remains of long-ago settlements. The coastline is fringed by seemingly endless beaches that are peppered with driftwood. 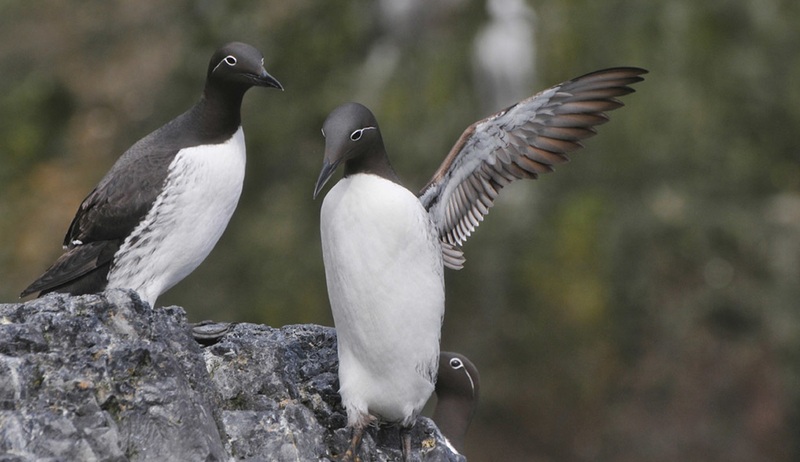 In spring, the sea cliffs are full of guillemots, kittiwakes, gannets and puffins. The town of Húsavík sits below Húsavíkurfjall mountain on the eastern shore of Skjálfandi bay. Just above the town is lake Botnsvatn, a popular place for outings. The lake is just the right size for a nice hike around it. The lakes surroundings are rich in vegetation and bird life and trout is said to be abundant, though small. Húsavík harbour lies below the bank right in the heart of town. The harbour once boasted a large fishing fleet, bustling with the activity of fishermen. It still serves as a fishing harbour but today's activity revolves more around the successful whale watching experiences. At Iceland’s self-declared “Whale Capital of Iceland,” visit the whale museum and go on a whale-watching excursion looking for humpback and minke whales, as well as other cetaceans. 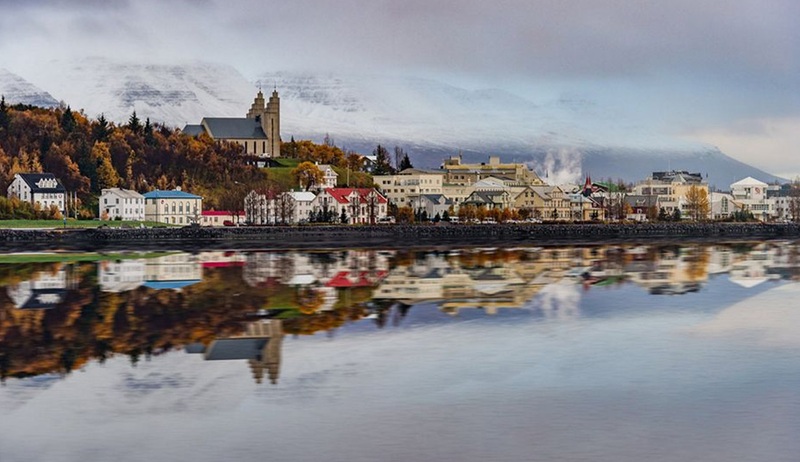 Akureyri is the gateway to Lake Myvatn (Midges Lake). The lake is part of a protected nature reserve and many birds (including thirteen species of ducks) frequent the surrounding wetlands. 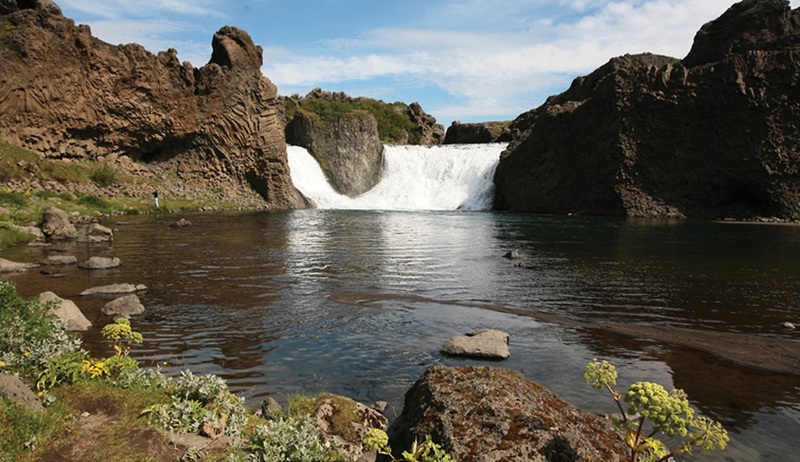 Nature’s power is plainly displayed in Namafjall’s geothermal springs, as well as on a walk along the lake’s shore onto some pseudo-craters, through the massive, often unusual lava formations of Dimmuborgir. 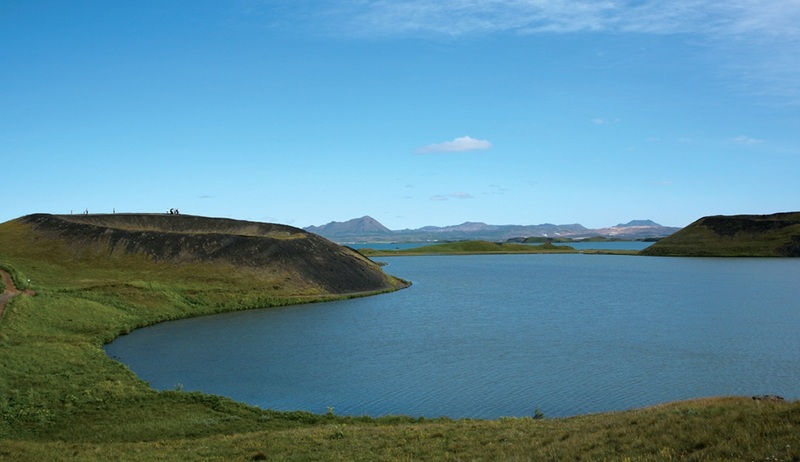 Vigur Island is a little more than a mile (1.6 km) in length and about 450 yards (412 m) wide. This green oasis punctuates the waters of the Ísafjarðardjúp fjord east of the town of Isafjordur. The island is home to a single farming family and has some meticulously preserved historical landmarks including Iceland’s only windmill, built in 1840 and used until 1917 for grinding imported wheat from Denmark; and a 200-year-old rowing boat, which is still in use to ferry sheep to the mainland. Visit the tiny and private island to see how Icelanders collect eider down. 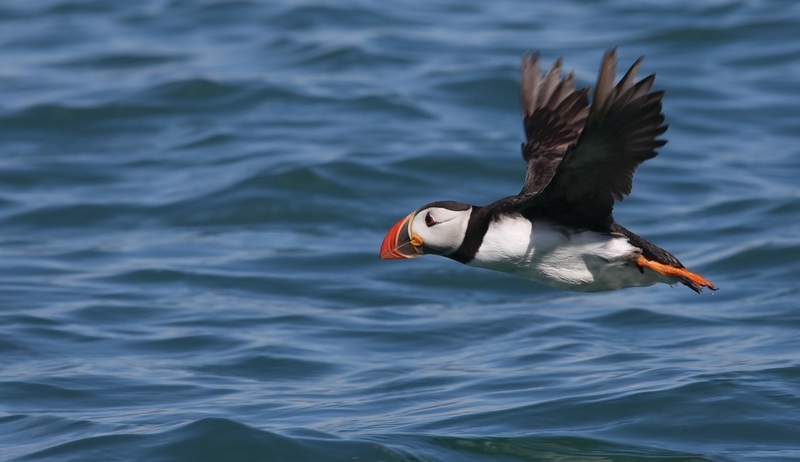 The island is also home to Atlantic Puffins, Black Guillemots and Arctic Terns, which can be seen while walking across the island. After the walk enjoy home-baked cakes and cookies made by Vigur Island owners. Latrabjarg Cliffs, Iceland – Silver Cloud will sail next to one of Europe’s largest bird cliffs and a truly stunning sight to experience. 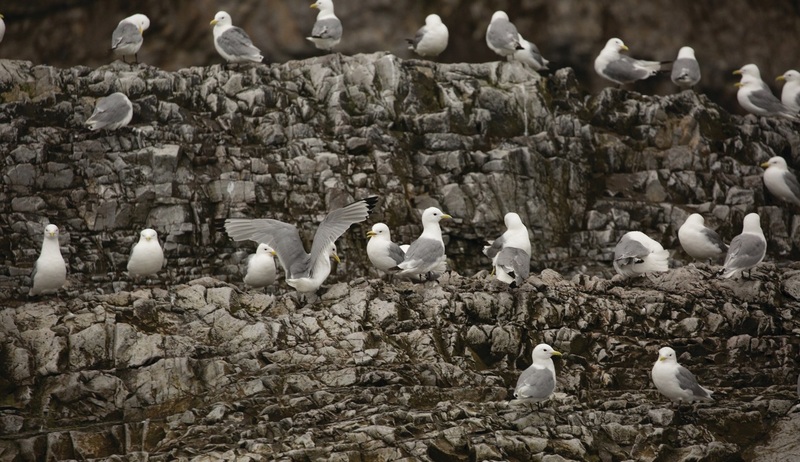 The 14 kilometer cliff is covered with tens of thousands of Atlantic Puffins, Northern Gannets, Razorbills and guillemots that perch there safely from predators. 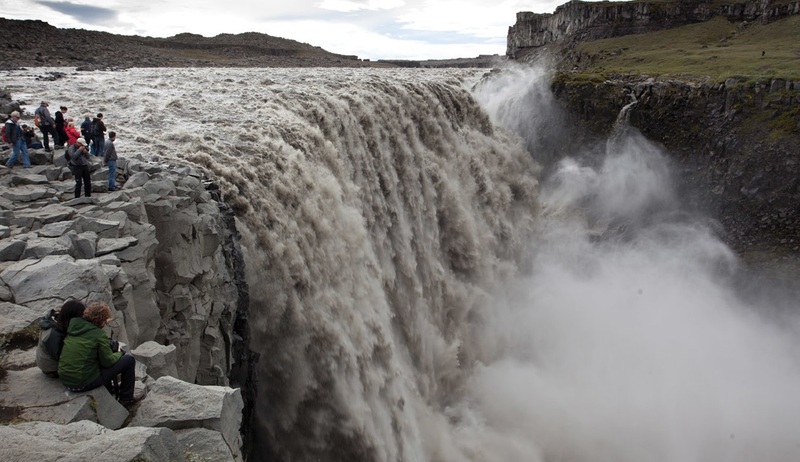 Dyjandi – Iceland is well-known for its dazzling waterfalls, and the Dyjandi is recognized as one of the country’s most impressive and majestic. Hike past 6 other spectacular waterfalls to reach Dyjandi, the Westfjords’biggest at 100 feet wide, with a 330-foot tumble into the fjord below. Dyjandi means the thundering one, named for its enormous sound. Stykkishólmur, located in western Iceland at the northern end of the Snæfellsnes peninsula, is the commerce center for the area. Its natural harbor allowed this town to become an important trading center early in Iceland’s history. The first trading post was established in the 1550s, and still today fishing is the major industry. The town center boasts beautiful and well-preserved old houses from earlier times. 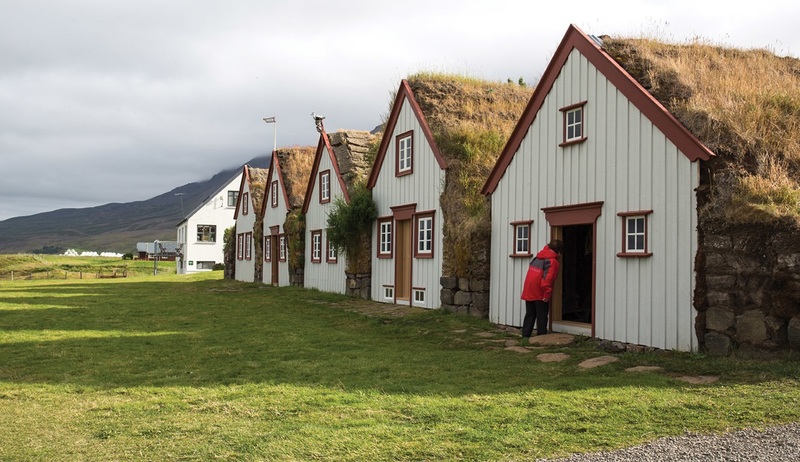 Stykkisholmur is very environmentally conscious – it was the first community in Europe to get the EarthCheck environmental certification. 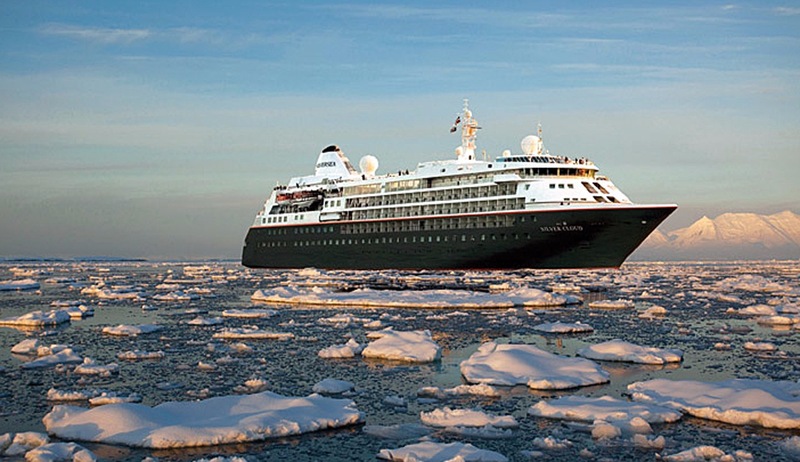 Arrive in Reykjavik and disembark Silver Cloud in the morning.